Large, sweeping pans of grand mountains, majestic forests, and calming river waters put you at ease. With a startling crash, you jump out of your seat, jolted by blast after blast of dynamite, followed by bullets, blood, and sorrow. The Magnificent Seven is a new version of the 1960 western that was a spin on the 1954 Akira Kurosawa classic Seven Samurai. The film centers on the 1879 town of Rose Creek, where vicious, mine-owning land baron Bartholomew Bogue (Peter Sarsgaard) is intent on forcing out the townsfolk, gunning them down in cold blood and setting their church on fire. 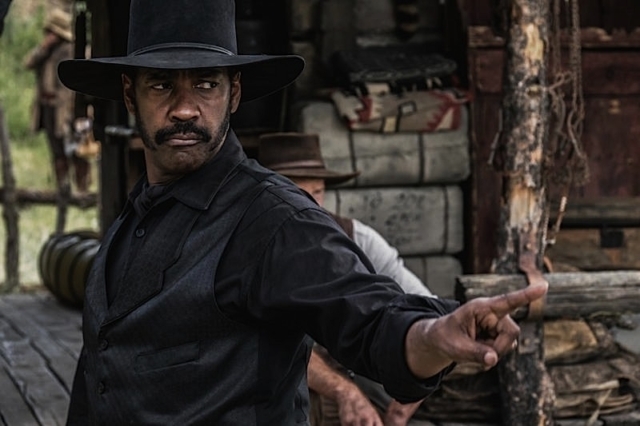 Desperate, but feisty, widow Emma (Haley Bennett) seeks out gun-for-hire Sam Chisolm (Denzel Washington), who puts together a posse of rogues to take on Bogue’s hired army of evil men. 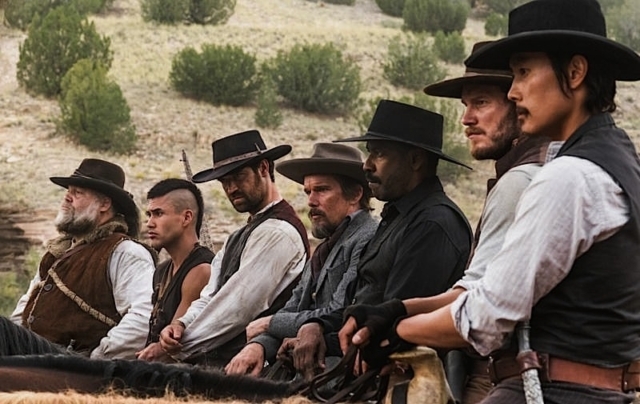 They are charming gambler Josh Faraday (Chris Pratt), sharpshooter Goodnight Robicheaux (Ethan Hawke) and his knife-wielding friend Billy Rocks (Byung-hun Lee), outlaw Vasquez (Manuel Garcia-Rulfo), Native warrior Red Harvest (Martin Sensmeier), and bear-like mountain man Jack Horne (Vincent D’Onofrio). This movie finds itself standing with the Western greats of generations past; an authentic, gritty tale with a modern element to it. It is well cast with the right mix of humor and tension, and well worth a trip to the cinema.